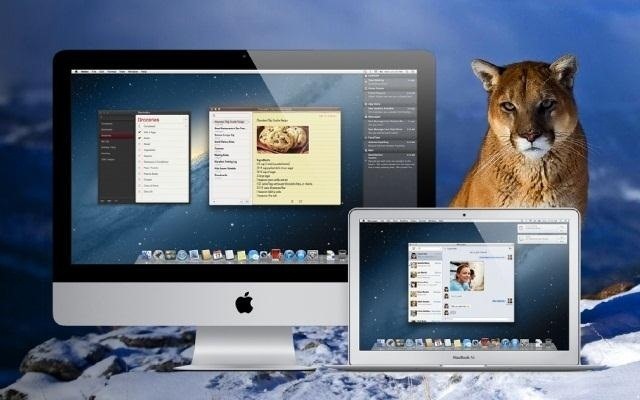 Mountain Lion (OS X 10.8) is out today, available in the Mac App Store for just $20. Unfortunately, installing Mountain Lion requires that you already have a Mac running Snow Leopard (OS X 10.6) or Lion (OS X 10.7). If you're currently running a Leopard system, you're out of luck, and need to pay $29 to upgrade to Snow Leopard, and then an additional $20 to upgrade again to Mountain Lion. That sounds like way to much trouble to me. But why exactly is Leopard incompatible? Turns out it's not—mostly anyways. The one actual compatibility issue is that Mountain Lion is only available in the Mac App Store, which is available in Snow Leopard onwards. However, if you have an alternate machine to make the purchase on, or you have put Mountain Lion on a flash drive or DVD, there's actually no technical reason why Mountain Lion wouldn't work. One way to get this to work is to do a clean install of your Mac, backing up all of your files first, then transferring them over once you've installed the new OS. However, Mac World came up with a much quicker and easier method to "tricking" your Mac into thinking it already has Snow Leopard installed. However, it does involve editing a .plist file, so if you're a bit squeamish about going into your OS's insides, this might not be the method for you. Navigate to the /System/Library/CoreServices folder. Using a text editor that lets you edit system-level files, open SystemVersion.plist. Locate the line with the ProductVersion key. Just below it is a string of characters indicating what OS you are running. Your number might look something like 10.5.8, signifying you are running OS X 10.5.8. Change that number to 10.6.8, then save the file. Lastly, shut down your Mac and restart it. You'll need to boot from a drive running Snow Leopard or later, such as the bootable Mountain Lion drive I mentioned earlier. 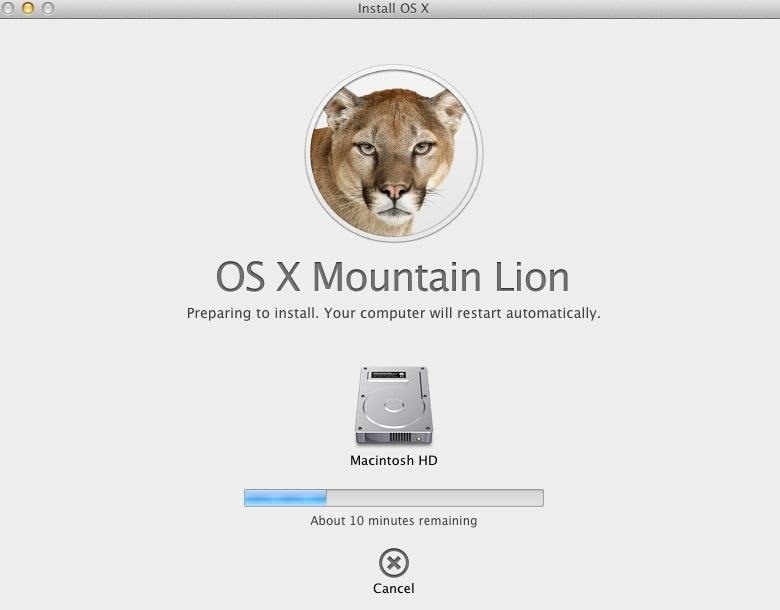 When the OS X Utilities screen comes up, select Reinstall OS X to install Mountain Lion over your Leopard drive. So I tried this method. When I try to do this, I get an error box saying that "You don't own this file and you don't have permission to write it." How do I get around this. Also, I have a 2006 MacBook that is technically incapable of running Mountain Lion. Is there any way around this? Thanks so much for your help! I copied the plish and pasted it to my desktop, I opened the plish and then changed the 10.5.8 to 10.6.8. After that I copied the changed plish into where the original plish was. You want to overwrite it!!!!! I used this method last week and I was able to successfully update a my early 2009 macbook that had been sitting in storage for years from 10.5.8 to 10.8.2 using a DVD image of Mountain Lion purchased from the appstore on an up to date macbook. "sudo /Applications/TextEdit.app/Contents/MacOS/TextEdit" without the quotation marks to do this. I had to completely reformat my drive as the Mountain Lion installer would not install over an existing OSX Partition. I used a Gparted live cd to make a seperate partition to backup my important files. Other than that the tutorial worked like a charm, big thanks to Ryan for posting this! I just did this on a friends computer and it worked perfectly. Didn't need to wipe the drive either. Thanks! Just did this on my old desktop running 10.5.8... it worked exactly as described! Didnt have to wipe my disc at all. Thanks also to Brendon above for the tip about TextEdit. The fix is still good!